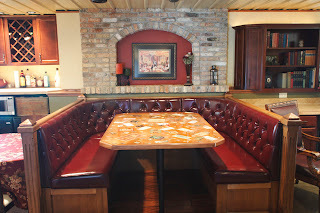 Degnan Design Builders, Inc. holds the distinction of being the winner of three 2007 "A Cut Above the Rest" remodeling awards from the WBA Remodelers Council. Two of these projects received Honorable Mention from the Qualified Remodeler 2008 Master Design Awards. 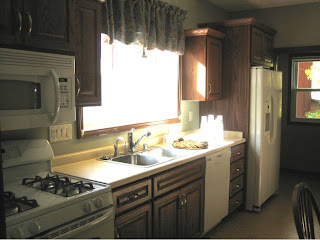 The projects were in the categories of Finished Basement, Green Remodeling project, and Bathroom over $30,000. 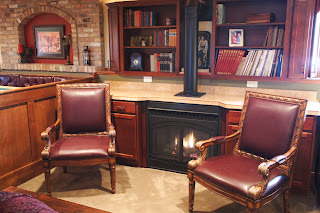 Link to view the finished basement project. -Exercise area with padded workout floor. All of this was carefully fit into a compact footprint of under 1,000 feet. 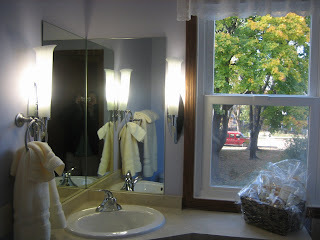 Link to view the Bathroom Remodeling project. Bathroom under $30,000 project: Our clients requested a larger shower and more contemporary finishes. One of Degnan Design Builder’s first suggestions was to enlarge the window looking out of the house. This window overlooked the fenced-in backyard and acres of farmland beyond. The cabinet designer created a furniture look to the cabinetry through the use of bun feet and bumped-out base cabinets on each side of the single lavatory sink. Green Built Home Make-over: In 2007, the Madison Area Builders Association decided to embark on a philanthropic project that would educate the public about green remodeling and energy efficiency by remodeling a home. The Annual Green Built Home Makeover project came to life. After two months and the help of dozens of volunteer companies and donors, senior citizen, Hazel Tookes, was given the key to her Green Built remodeled home – with more than $100,000 in energy efficient, environmentally friendly improvements. Read the Degnan Blog post about the GBHM 2008.